SRINAGAR: In a much-needed change from the ongoing political crisis in Jammu and Kashmir, the State Administrative Council (SAC), equivalent to Cabinet in popular government, today cleared a number of important policy decisions crucial to welfare of state’s people, quietly, including hiking the Dearness Allowance (DA) to over 6.1 Lakh State Government employees and pensioners from 7% to 9% of the basic pay or pension. The long-awaited demand of state cops was also approved today as the SAC enhanced ex-gratia relief to the NoKs of J&K Police Personnel killed in terror-incidents from Rs 48 lakh to Rs 70 Lakh and to NoKs of SPOs from Rs 14.5 Lakh to Rs 30 Lakh, besides free education of two of their children in private schools in the State upto class 12th. With Governor Satya Pal Malik in the chair, the SAC meeting was attended by his Advisors-B B Vyas, Vijay Kumar and Khurshid Ahmad Ganai, besides Chief Secretary B V R Subrahmanyam and Principal Secretary to Governor, Umang Narula, as Malik’s administration deliberated upon the various proposals submitted by Administrative departments for its consideration and approved a number of significant cases. The SAC approved release of additional installment of 2% Dearness Allowance (DA) to the State Government employees and pensioners w.e.f 1st July, 2018, over the existing rate of 7% of the basic pay or pension. The arrears from July, 2018 to September 2018 will be credited to respective G.P Fund accounts of the employees and w.e.f October, 2018, the salary /pension will be drawn on revised rates of D.A. However, pensioners or those employees retiring this year will be paid arrears in cash. In another significant decision, the SAC accorded accorded sanction to the enhancement of ex-gratia relief to the NoKs of J&K Police Personnel killed in course of performing duties attributed to act of violence or militancy related incidents. In a significant decision to facilitate and nurture growth of new Start-ups, the SAC approved the “J&K Start-up Policy 2018”. In another landmark decision, the SAC approved the “J&K Single Window (Industrial Investment and Business Facilitation) Act, 2018”. The SAC approved the proposal of Horticulture Department for setting up of walnut processing units in the private sector through an enabled interest subvention scheme. The objective is to increase the processing capacity of walnuts in the state. The adherence to scientific processing and grading practices shall fetch better returns in today’s competitive market. The scheme will facilitate the interest subvention of 100% for a period of 5 years on a loan of Rs 1 crore availed for establishing of Walnut Processing Unit of 500 MTs capacity in Private sector. Ten (10) walnut processing units of 500 metric ton capacity each have been targeted under the scheme. In another similar decision, the SAC approved setting up of the walnut nurseries in the private sector with an attractive interest subvention and subsidy support. This scheme shall facilitate 50% subsidy, subject to a ceiling of Rs 7.50 lakh, for establishing a walnut nursery with high tech poly green house, costing Rs 15 lakh in private sector and 100% interest subvention on balance loan raised for the purpose, for a period of 05 years. Seven (7) walnut nurseries are targeted to be covered under the scheme during 2018-19. The proposal aims to encourage private entrepreneurs for establishment of walnut nurseries for the production of grafted walnut plants which are having huge demand not only in the state but also in Himachal Pradesh, Uttarakhand & North Eastern States. The availability of grafted walnut plants of the recommended varieties shall boost the production of walnuts in the State. This will also help in production of uniform produce. The SAC also approved the proposal of Horticulture Department for facilitating private players to establish more Controlled Atmosphere stores (CA) stores in the State by providing additional back ended subsidy support. Private entrepreneurs shall be encouraged to establish more CA stores in the J&K State, thus increasing the withholding capacity of orchardists for ‘A” grade Apple as result of which supply of Apples can be regulated for better returns to the orchardists by providing 33% back ended subsidy (Max. upto Rs. 7.26 Crore on pro rata basis) on establishment of 5000 MT capacity CA storage facility in addition to the back-ended subsidy already available under the centrally sponsored scheme Mission for Integrated Development of Horticulture. The additional subsidy support shall be provided to 10 CA stores of at least 5000 MTs capacity each which shall be coming up in the state during two years, i.e. 2018-19 and 2020-21. In another major decision, SAC approved the proposal for providing interest subvention for procurements of Refrigerated vans. The proposal aims to encourage private entrepreneurs to purchase refrigerated vans in the State by providing 100% interest subvention for their procurement. The introduction of refrigerated transport system shall prove a boon for marketing of fruits, particularly the perishable ones, besides maintaining cold chain by providing. Two types of refrigerated trucks are generally used for carrying fruits to terminal markets having capacity of 9 MTs and 16 MTs costing approximately Rs 32 lakh and Rs 46 lakh, respectively. The maximum subsidy permissible under MIDH is Rs 13 lakh per vehicle of 9 MTs capacity and above. The entrepreneur raises 70% of the loan usually at the rate of 12% per annum. 100% interest subvention on the loan raised for procurement of such vehicles less by subsidy provided under MIDH has been approved. The 100% interest subvention shall be provided for purchase of 10 Refrigerated vans including 5 Vans of 9-ton capacity and 5 Vans of 16-ton capacity, for a period of five years on the reducing balance of loan. The SAC Satya Pal Malik approved the proposal of Horticulture Department for promoting Aloe Vera cultivation both in the Public as well as the Private sector. The SAC approved transfer of State land measuring 77 Kanal& 17 Marla situated at villages of Regipora, Bohipora and Kupwara of District Kupwara to the Sher-e-Kashmir University of Agricultural Sciences & Technology Kashmir (SKUAST-K) for establishing Krishi Vigyan Kendra. 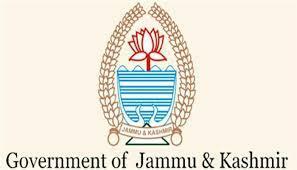 The SAC accorded sanction to the creation of 400 posts of Veterinary Assistant Surgeons for appointment through JKPSC and 400 posts of Paravets for appointment through JKSSB in a phased manner in the Animal / Sheep Husbandry Department. The SAC accorded sanction to the creation of 32 posts of various categories for strengthening of Vigilance Cell in the Jammu & Kashmir High Court. The posts include 02 posts each of Registrar Inspection, Joint Registrar, 03 posts each of Assistant Registrar, Senior Scale Stenographer, Jr. Scale Stenographer, Head Assistant, Sr. Assistant and Jr. Assistant, 02 posts of Drivers and 08 posts of Orderlies. The SAC accorded sanction to the ratification of the Shahpur Kandi Dam Project Agreement signed on 08th of September, 2018 at Srinagar between the Governments of J&K & Punjab. The project has been declared as a National Project and will be implemented by Government of Punjab without any financial liability to J&K.